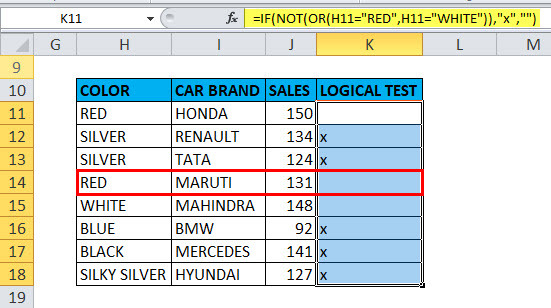 NOT in Excel (Formula, Examples) | How To Use NOT Function? NOT function is an inbuilt function that is categorized under Logical Function, the logical function operates under a logical test. It is also called as Boolean logic or function. It is used as an individual function or as a part of the formula along with other excel function in a cell. E.G. with AND, IF & OR function. It returns the opposite value of a given logical value in the formula, NOT function is used to reverse a logical value. If the argument is FALSE, then TRUE is returned and vice versa. The only parameter in the NOT function is a logical value. 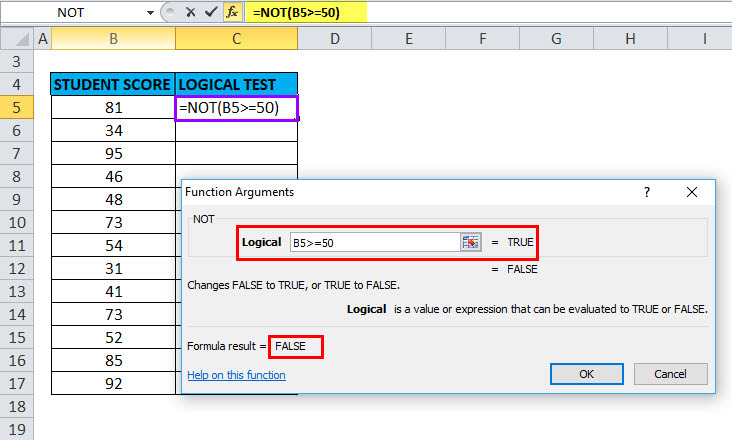 The logical test or argument can be either entered directly or it can be entered as a reference to a cell that contains a logical value and it always returns the Boolean value (“TRUE” OR “FALSE”) only. NOT Function in Excel is very simple and easy to use. 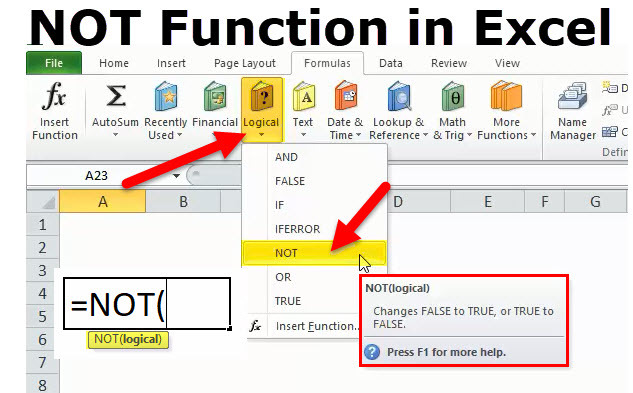 Let us now see how to use NOT function in excel with the help of some examples. 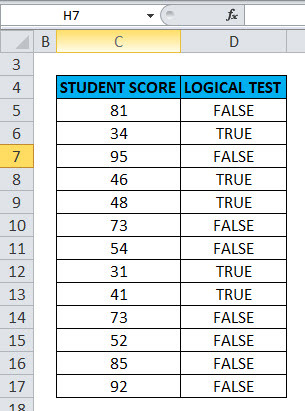 Here a logical test is performed on the given set of values (Student score) by using the NOT function. Here, will check which value is greater than or equal to 50. Result: It will return the reverse value if the value is greater than or equal to 50, then it will return FALSE and if the lesser than or equal to 50, it will return TRUE as output. It Occurs when the supplied argument is not a logical or numeric value. a function returns a #VALUE error because NOT function does not allow any range and can take only a logical test or argument or one condition. Here in the cell “I23” the stored value is “0”, suppose if I apply “NOT” function with logical argument or value as “0” or “I23”, Output will be TRUE. When the value or reference is Boolean input (“TRUE” OR “FALSE”) in a cell. 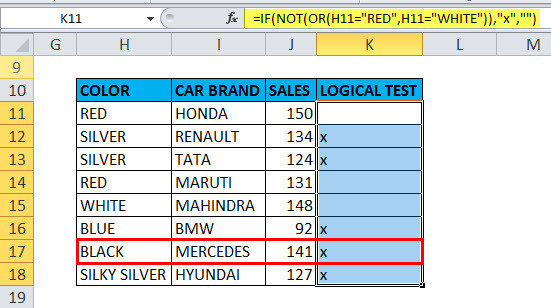 How to Use Excel FV Function? How to Use Microsoft Excel Skills?